Can’t handle the fact that Labour are well and truly screwed when it comes to winning over business voices. I’m not the biggest fan of Blair, but at least he understood them and that is why Labour 10 years ago routinely won business support. Columns on here want to parrot Labour’s business lines when it comes to the EU or if they make platitudes about small businesses. Now you jump on the Twitter bandwagon attacking an open letter to the Telegraph, because a number of Britain’s wealth creators are warning about Labour’s profligacy and tax hikes. Fact is that there is a recovery going on and people are recognising that. Lefties and public sector unions think it’s “the wrong type of recovery”, lol! Ed Miliband has been getting this wrong ever since he started trying to sanctimoniously go after “predatory” capitalists and distinguishing them from a “responsible” vision. How much support has he won for that, aside from a few columns on here or by the likes of Polly Toynbee? Sorry, I’d rather listen to these signatories over the likes of Len McCluskey or Frances O’Grady whose ideas would drag us back to the 1970s. The magic money tree and “public sector jobs 4 life” are what the left want more than anything. But Blair trying to court businesses ultimately led to how deeply we were affected by the crash. If we’d pushed for more financial regulation or accountability sooner we’d have been in a much better position. You can’t have it both ways, unfortunately. Continue to pursue good old fashioned capitalist economic recovery and we’ll be stuck in an infinite boom/bust cycle. Sorry, you have a form of economics that defies business cycles? Do tell. Goodness, you Labourites have very short memories! Last year, while working hand in hand with the Tories, Labour brokered a deal for Ian Taylor of Vitol to donate very large sums to the no campaign. Vitol, the world’s largest oil trader, had had a series of controversial deals with Saddam Hussein’s Iraq, an Iranian oil shipment, the Serbian warlord Arkan and Libyan rebels. After the Iraq deal, Vitol was one of a number of oil firms fined for breaching UN sanctions: it was accused by a New York court of paying $13m in kickbacks to the Iraqi state oil company. You are a bunch of hypocrites. Yes, one that doesn’t make the poor poorer on the ‘recovery’ side. If it wasn’t April the First I’d think you were serious, rather than a poorly re-hashed Daily Mail editorial with as many cliches as possible crammed in. You missed out ‘the politics of envy’ and ‘Britain is being swamped by immigrants’ but you pretty much nailed it otherwise..
Actually I don’t think immigrants are a problem. Extorting British business is not so much “the politics of envy”, but is extremely naive and a sure fire way to deter the investment that we need. Also what happened to Ed Balls’ pledge to keep corporation tax at one of the lowest rates in the G7? I’m certain he said that last summer in a speech. Labour ought to match or better the Tories in a pledge. Screw what those on the left have to say, if it was up to them we’d be a begging bowl economy. It says a lot that a few of these bosses were Labour supporters a decade ago. Pretty sure even Duncan Bannatyne back Gordon Brown at the last election, which says a lot about Miliband. Again, I’m no massive fan of Tony Blair, but he knew that antagonising business was a recipe for disaster. Ed Miliband is trying to walk this impossible tight rope between what the unions expect and pontificating about what businesses should be doing. It has gained little fanfare with anyone. And even after Labour makes the change, corporation tax will still be the lowest in the G7 – it’s just that it’s never enough for these people. ‘Business’, or more accurately those who own and control businesses, will always resist wage increases, taxes and anything which impinges on their profitability. It’s what they do. Faced with that. a Labour government can either try to appease them, or attempt to make them realise they are a part of, and not the only part of, a functioning cohesive society. That means paying taxes and providing more than the lowest wage possible for the highest amount of profit. Well, quite. If you don’t pay tax on your vast income and wealth, then you are unlikely ever to feel the pinch. Britain is mostly a land of SMEs where the private sector is concerned. Big businesses depend on them, and both depend on the public sector. But one category finds it far easier than the other category does to avoid paying for that sector. I would just ignore these 100. They are kind of people, if they are not the actual individuals, whom Tony Blair used to hold in awe. That speaks for itself. Actually, Taylor is a major donor to the Conservatives. Seems to me its a recovery totally built on….. Indeed. And that makes Labour’s shameful behaviour in brokering Taylor’s funding of Labour’s campaign against Scottish independence even more sickening. Condemn big business one day, take their 30 pieces of silver the next. Labour is in the pocket of big business – sickening hypocrites. You seem confused. Where was Labour, a right wing party, mentioned? Oh right, now it’s “shameful” to have morals. Sickening, even. Hypocritical. Thanks for your SNP morals manifesto. Quite. The jobs simply are not there – it leads to a feeding frenzy where people are turned on each other literally can’t afford to use their rights or they’ll be punished. They have. People are still voting for them – it’s a type of stockholm syndrome for some, sadly. What’s all this rubbish about Labour attacking business? It was business attacking Labour. You shout your prescribed opinions so loudly, it’s almost as if you’re trying to convince yourself. What Blair shamefully did was to broker the support of Murdoch. A far more divided UK was one of the sorry consequences, and in this lurch to the right some of us appear to have forgotten how to think independently. Your ‘logic’ is transcribed wholesale, as if from Mr Murdoch’s very own mouth. Oh, and don’t forget to take a swipe at the Public Sector, will you? Now, rest that weary brain, why don’t you? Take care not to hypocritically avail yourself of the services of the NHS. That’s a naive statement; I’m guessing you’re quite young. Although most people claim to care about ‘the poor’, very few actually give up significant time or money to help poor people beyond buying the Big Issue occasionally. They’re too busy getting on with their careers, raising families, and getting on with their lives. That’s most people. Whether it should be or not is another matter. But they’re not all broken up about the unemployed in Middlesbrough and they’re not going to switch political parties based upon that. The only people to whom it’s really an issue are kids and socialist worker types. But those people don’t decide elections. I’m waiting for 100 top business leaders to say how outrageous it is that the number of food banks has increased, or bemoan the fact that so many small charities have had their funding cease because of the financial squeeze on local authorities’ budgets. 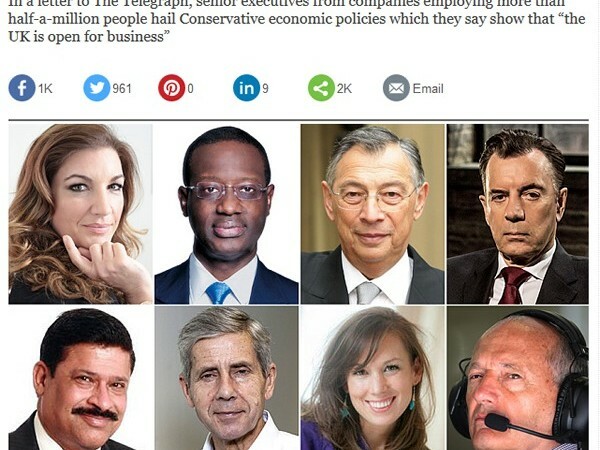 Of course all of these people basically fell off an apple cart and got 15m a year a salaries handed to them because they voted Tory, none of them will have evidenced the competency to run multi billion dollar businesses effectively through years of hard work, and they should be paid as much as me whilst I sit in my bedroom farting and eating cornflakes. Their understanding of the complex effects of market confidence on our bond markets and our government purse and the benefits and public spending tied to it will be inferior to mine by many many leagues. My own personal failures in life are the sole responsibility of whichever set of demons news international has painted for me over the last week and are in no way based on my life choices. Are you not inspiring racial hatred? I wonder if that is acceptable? And the people who actually have communities, and live in them. Who have been disenfranchised by Labour’s move right. But hey, details. And there you have a wild attack. Politics is not a protected category, of course. Your political views have no special protection from being insults, as much as you’d like it. Yea, those evil life choices like not be born to the right family. corporate welfare and lobby to change the law so they can pay even less – benefiting from things like unpaid “workfare” slave labour. The “recovery” is purely in the city, for the leeches like you. You ignore deflation, ignore the bubble, ignore the nearly flat hours worked, ignore poverty…well no, actually you’ve rejoiced in raising poverty. You’d rather listen only to your Class. As you deny Britain has fiat currency, while attacking those evil nurses and teachers. Oh, and non-scam pensions. It could be raised and still be one of the lowest. But facts. Labour’s moved right, it’s just that the Tories are offering even more for them and less for the peons. You’re fine with the poor having to beg, as you say that America for instance is a “begging bowl”, since they did exactly what Labour were doing before the coalition put an emergency halt to the recover and had us a depression. You want to damp down the cycles, not amplify them wildly. Moreover, you want to ensure that the low paid are not the ones who keep losing out, even on the upswing! Bit of an own goal for the Tories. I shall personally boycott their businesses. Add to that, makes you wonder how many CEO’s of PLC’s achieved there targets last year and got a bonus not because they are the best at what they do but because of government policy to cut corporation tax. yet if you go further back to say 1945 to the late 1960’s we did have a level of responsible capitalism.That is the society I thin most people want us to go back to, where we had long term secure employment, rising living standards, and paying of our debts after the second world war as well as being a major world leader in science and technology. The recovery that we are having is in effect paid for by taxpayers, it is not industries taking risk and being rewarded with profit but the taxpayer being burden with all the liabilities. A Labour government can win industry by saying they have two choices, a little bit of something or sod all of nothing. To begin with industry will of course chuck its toys out the pram, however when the reality comes home, and they start to loose large amounts of money, they will concede it is better form them to accept lower profit margins and make some money then make no money at all. No, we had a free market relatively unencumbered by capitalism – not quite the same thing! And yes, it’s where we need to go back to, where the rich pay a fair whack and private business rises and falls on it’s merits, not government subsidies. What are you on about? Labour is not an anti-business party. But it’s quite right to point out that the corporate types backing the Tories are just self interested fatcats who don’t want to pay more tax. LOOK AT THAT !!! Leon, playing nice in the sandbox. Well done Leon. Anger management classes? Keep attacking me, Lord Blagger. I’m not paying for your fake “classes”, get over it. You’re here to **** in the thread because it’s what you do. We’re not beholden to the cycles we created. You talk as if they exist in a vacuum. Whats wrong with being paid alot? I see it as something to aspire to not something to criticise, well done them for getting well paid jobs. Why should they pay more tax? I can understand being irate about tax avoidance/evasion, but simply demanding more and more from them is just petty jealousy/self-interest. Then why should religious ones (specifically Islamic) get protection instead then, as Labour seems to advocate? Because Labour are attacking them back – corporation tax rises, top income rate rise, price controls, arbitrary labour market regulation. Most on the right support private businesses succeeding on their merits rather than propped up by government. And what constitutes “fair whack” for the rich is very much open to debate. So you want to be able to discriminate against Islam, because your politics are not protected? Labour is not “advocating” anything, it’s the law of the land that religion is a protected characteristic. And that’s fine.